Millennials on the whole are not fans of email and the formal style it dictates – instead they prefer instant communication platforms such as WhatsApp and Facebook chat, which they have grown up with. However, the challenge this poses for the workplace is whether the social behaviours and technological preferences of Millennials can be incorporated into a business to promote greater collaboration and engagement. With a number of new technologies continuously entering the market, the question is whether and how these new platforms can replace the email? And equally as important is if they should? Just because a technology works in a social environment does not mean that it will successfully transfer over into the professional sphere. Instant, open communications may be the preferred method for Millennials, but businesses need to consider which tools are best suited to achieve their wider goals. For some companies, this could well be email due to its established compliance, auditability and control benefits. For firms seeking more free flowing communications, social tools like Yammer and Slack may be more effective. In either case, the first step is to identify the company’s objectives and then implement a solution that meets these. For most companies, regardless of how flat their organisational structures are, there remains some form of hierarchy that has senior managers monitoring and driving the performance of staff. Where email brings structure, the open nature of social messaging platforms often brings an element of chaos, with message threads becoming long unwieldy streams of unverified “chit chat”, making compliance and measurement very difficult. There are many examples of SMEs and small teams of up to 50 people using instant messaging and social networks to share information successfully. This is because the small number of users makes this form of communication manageable. Larger businesses, on the other hand, are still communicating in the same way as they did in the 1990s; with email. Consequently, two key elements of the daily work cycle remain disconnected from each other: the electronic communication between staff and the work output itself. For a typical piece of work to be produced, employees may have an email exchange before deciding upon a course of action, but then switch from email to a file-based working environment to edit a Word, PowerPoint or Excel document, before again returning to email in order to send the completed document for review. This is clearly a tedious process appreciated by few. Millennials are used to a ‘followable’ environment with seamless, real-time information sharing in their social lives – so why would they want to email their colleagues with a link to a file every time they make a change? 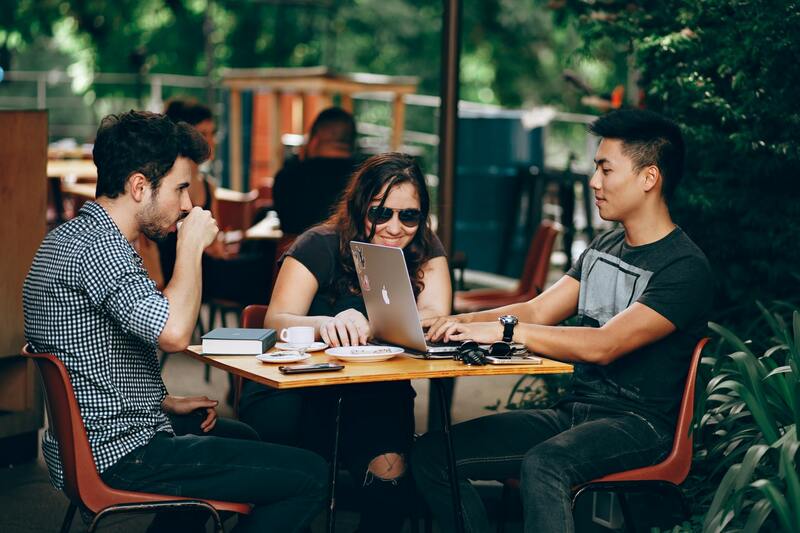 If this activity could be carried out directly in a collaborative environment, teams could synchronously work together, removing the version control issues and delays that leave Millennials feeling frustrated. Business communication is a means to an end, not an end in itself. There is a growing desire amongst business users for improved integration between day-to-day communication and the processes that are needed to get the work done. Getting the work done is the key point – not just talking, but actually producing something. There is an expanding market of applications available for this purpose, from message aggregators like Slack to social document authoring tools like Quip or GoogleDocs. Millennials are increasingly trying to patchwork together a better, more social way of working that is not entirely dictated by email. This patchwork quilt remains the preserve of the individual and the SME workplace, however. Even Slack’s high profile growth and media awareness has not established it as a pervasive way of communicating in the enterprise. The same was true of Yammer five years ago, despite being the self proclaimed “Enterprise Social Network”. What needs to be asked is why these communication platforms are not taking hold in the enterprise. Are email and attachments persisting because work continues to be authored off-line? If so, we need a new way of working, addressing the root cause of off line working, to move forward. Quip is a simple social authoring tool, and its multi-platform, lightweight user interface is certainly easy and quick to adopt. But could an entire enterprise use it instead of Microsoft Office? No. And that is not its intention. GoogleDocs has been adopted by some enterprises, and with its Office style tool set, it offers enough familiarity for workers to perhaps abandon Office. However, workers still end up following their behaviour from before, only now using Gmail instead of Outlook to communicate around the files they have authored. As an industry, venture-backed start-ups need to focus on taking the time for deep thinking, complex design and substantial build out, not speed to market or speed of growth. Until such a rigorous approach to enterprise software development is taken, Millennials will not be able to drive the change they desire and replace email with a form of communication and style of work that best suits their desires and abilities – at least not entirely. Written by Tristan Rogers, CEO – Concrete. Concrete is a global enterprise collaboration platform used by brands including Vans, J Crew, Gap, Kate Spade, Williams Sonoma and Marks & Spencer. Enjoyed this article? Sign-up to Procurious for FREE and join 6000+ other professionals.